With the birth of spring comes backyard cooking and barbeques. Creating a picture-perfect outdoor kitchen may seem stressful and overwhelming, but it doesn’t have to be. Building a backyard cooking space can be easy and affordable with these simple ideas. 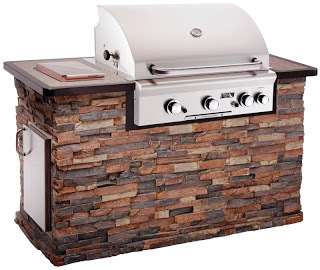 A stylish and multifunctional grill is the main centerpiece of any outdoor kitchen, but don’t want to feel like you’re undergoing an entire renovation. Basic grill structures with attached islands and bar space eliminate unnecessary custom improvements and won’t break your budget. 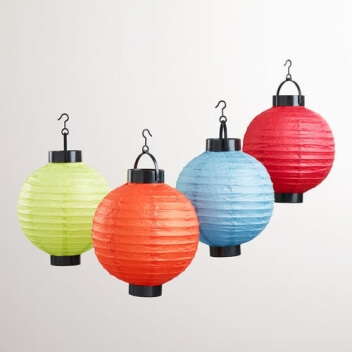 No one wants to fumble through the dark while trying to enjoy a relaxing night of outdoor dining. Lighting illuminates your outdoor kitchen and enables you to use it all hours of the day. Battery operated and adjustable lamps are an inexpensive alternative to running an electrical line through your backyard. Nothing is worse than having to run to and from your home to wash raw chicken off your hands. 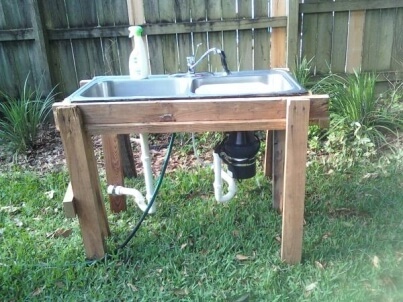 Look for a sink that hooks up to a garden hose and drains into the ground for a fantastic money saving option. 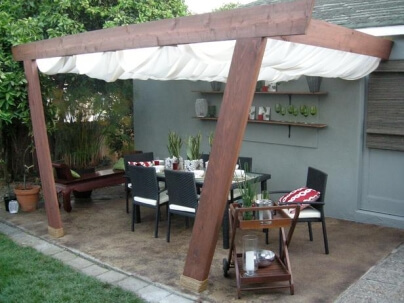 An outdoor canopy provides shelter from any type of weather that may arise. Form hiding the sun to shielding the rain, a canopy covering is a necessity for any outdoor kitchen. Store organizational necessities under grill counter tops such as baskets for napkins, utensils, dishware, glasses and cleaning supplies. 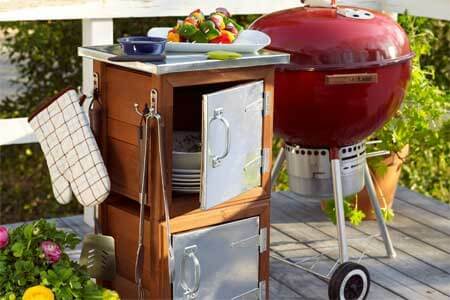 Most importantly, be sure to have trash and grilling utensils close by with hooks to hang above the cooking station.